Every year Travel Directions offers new opportunities for specialty travel. This year we have partnered with 9 Maple Avenue, a well-known whiskey bar in Upstate New York, for a whisky-tasting tour of Scotland. 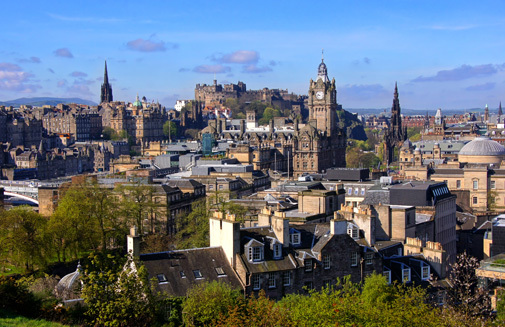 During this 8-night / 9-day tour, our group will stay in Edinburgh for 3 nights, Oban for 1 night and the Speyside region for 4 nights. This tour will include visits to 8 different distilleries throughout Scotland. These distilleries include Oban, Ben Nevis, Glenfiddich, Balvenie, Glenlivet, Aberlour, Macallan and Dalwhinnie. We are limiting this to a small group to enhance the experience for all. Accompanying the group will be two trip leaders, including Matt from 9 Maple and Charles from Travel Directions. Along the journey we will visit many famous sites, museums and castles. Some sites include the Edinburgh Castle, St Giles Cathedral, the Scotch Whisky Experience, Inverary Castle, Urquhart Castle, Dufftown, Ballindalloch Castle, the Speyside Cooperage and the Blair Castle. There will be special tastings at the distilleries, as well as many other special treats provided on this tour. This is a unique opportunity to visit Scotland with 9 Maple. Cost: $2400.00, a deposit of $400 is needed to guarantee a space on the trip. For a full breakdown of the itinerary with details or a Reservation Form, please contact Charles at Travel Directions using our Contact Us Page or call (518)944-8957.